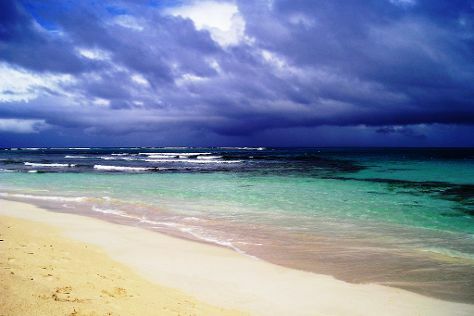 You'll enjoy a bit of beach vacationing at Luquillo Beach and Condado Beach. Escape the urban bustle at Scuba & Snorkeling and El Yunque Rain Forest. Go for a jaunt from San Juan to El Yunque National Forest to see Angelito Trail about 1 hour away. The adventure continues: take a memorable tour with Tours and shake up your sightseeing with a climbing tour. Ask Inspirock to suggest an itinerary and make planning a trip to San Juan fast, fun, and easy. Use the Route module to find travel options from your starting location to San Juan. In April in San Juan, expect temperatures between 36°C during the day and 28°C at night. Wrap up your sightseeing on the 18th (Thu) to allow time to fly to Culebra. Take a break from the city and head to Zoni Beach and Flamenco Beach. We've included these beaches for you: Tamarindo Beach and Melones Beach. There's much more to do: head off the coast to Culebrita Island, examine the collection at Museo Historico de Culebra, tour the pleasant surroundings at Brava Beach, and visit a coastal fixture at Culebrita Lighthouse. To see ratings, where to stay, traveler tips, and other tourist information, read our Culebra online tour planner . Culebra is just a short distance from San Juan. In April in Culebra, expect temperatures between 34°C during the day and 28°C at night. Wrap up your sightseeing on the 22nd (Mon) early enough to travel to Isla de Vieques. Get in touch with nature at La Chiva and Scuba & Snorkeling. We've included these beaches for you: Sun Bay and Green Beach. Next up on the itinerary: look for all kinds of wild species at Vieques National Wildlife Refuge, stroll through Black Sand Beach, enjoy the sand and surf at Navio Beach, and add some adventure to your tour with a kayaking and canoeing tour. To see where to stay, traveler tips, ratings, and other tourist information, read Isla de Vieques online road trip planner . Traveling by combination of flight and car from Culebra to Isla de Vieques takes 2.5 hours. Alternatively, you can ride a ferry. In April, daytime highs in Isla de Vieques are 34°C, while nighttime lows are 28°C. Wrap up your sightseeing on the 28th (Sun) early enough to travel back home.